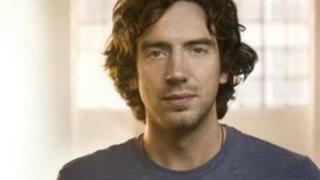 Finding out where Snow Patrol fits in the world of music after a seven-year break will be a challenge, frontman Gary Lightbody has said. They released their last album, Fallen Empires, in 2011, with new release #SP7 due out in May 2018. "The way people listen to music, view it, buy it - everything has changed," said the 41-year-old singer. "But I'm more certain than I've ever been in my life that this record is an incredible one." In a wide-ranging interview with BBC Radio Ulster's Sunday News programme, Lightbody, who is originally from Bangor, County Down, also revealed he faced another battle with writer's block during the making of the album. "I had four years of writer's block on this one, it was only six months on Fallen Empires so it seems to be getting worse," he said, explaining how it left him feeling like he was useless. "There's a lot of depression that is attached to it as well, because you feel like: 'Maybe the only gift I have has deserted me,' and you're kind of inconsolable really." Lightbody said he got through the struggle by taking advice from fellow musicians and friends to "keep writing - even if it's jibberish". "I don't want anyone to ever see the piles of notepads in my house that I had to write through to get to the good stuff," he joked. With the new album comes the prospect of Snow Patrol getting back on the road, touring. Lightbody remained tight-lipped about the finer details, but told BBC News NI that once the album is released, the first step will be announcing a Belfast tour date - so watch this space. While no-one can doubt the Northern Irish band's incredible success over the past 15 years, Lightbody has big plans for the future. "You have to make new dreams for yourself as you go along. It's not that I'm not satisfied, but I am ambitious," he admitted. "I think that's a side of myself I hadn't quite allowed to be out there. As a Northern Irish person we're not that good at selling ourselves, but I'm trying to be more confident about what I want. "I would love Snow Patrol to headline stadiums. We've been away a long time so we would need two or three big records in a row, but who's to say what happens." Asked if there is a Chasing Cars-style anthem to look forward to on #SP7, the answer was a definite 'no', but Lightbody acknowledged the importance of the song in helping raise Snow Patrol's profile. "I'm very proud of that song, it gave us so much, but I don't think that's possible any more. "Music has moved on from that point, the big anthem guitar song has been done to death." While we won't know the verdict on the new album for a few months yet, Lightbody has high expectations for it. "I don't want to sound trite and say it's the best record we've ever done, but I'm really proud of it, I can't wait for people to hear it." This interview was broadcast on The Sunday News on BBC Radio Ulster on Sunday, 7 January at 13:00 GMT. You can listen again here or on the BBC iPlayer radio app.